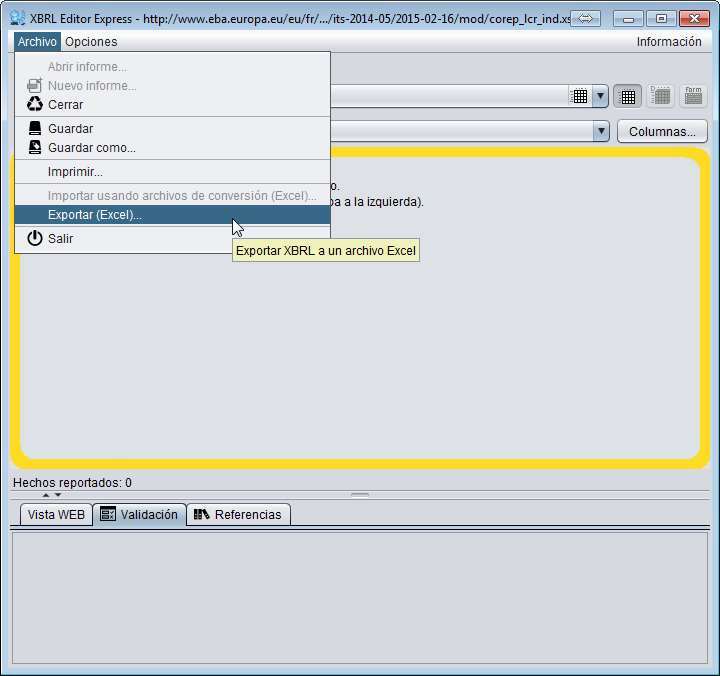 Reporting Estándar releases the easiest XBRL report editor in the market. Based on XBRLizer, our powerful XBRL report editor an taxonomy analyser, and taking XBRL Viewer as the source of inspiration, this new editor has been designed with the business users needs in mind. It’s the perfect tools for those users which just want to create and edit XBRL reports without the disturbance of any other functionalities which will distract them (or confuse them) from this task. XBRL Express is a desktop tool that allows users to create XBRL reports without having knowledge of the standard while maintaining the full power of XBRL validation and XBRL data models. XBRL Express works like a spread sheet, when the user clicks on a editable cell all the surrounded XBRL information needed like entity, report period, dimensional information, units, etc. is provided automatically by the tool or is being asked to the user just in case it cannot be determined automatically. Of course, all this information can be changes later if needed. Import / Export from and to Excel, sharing xbrl information or creating XBRL from Excel data is easier than ever. 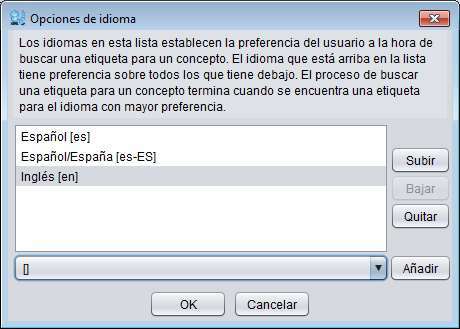 Multi language: End user can choose its preferred displaying language. Labels used to render the information will be chosen based on these user preferences. 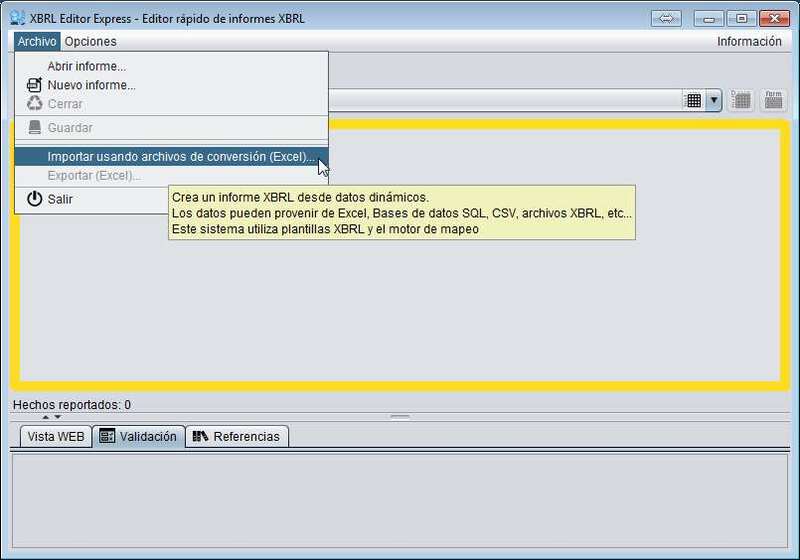 Unlike other XBRL products, the user can specify all the desired languages as well as the preferred order to be displayed. If a label is not available for the first option selected then the tool will look following the list from top to down. Multi content: If the XBRL report has more than a form the user can choose in every moment in which one of them wants to work. 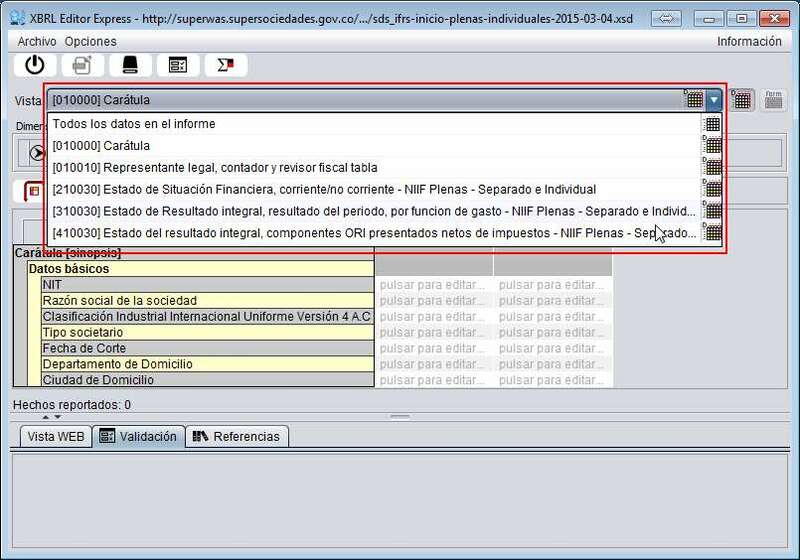 Export to Excel: Want to share the information in your report, but no XBRL capable tool in the receiver side? No problem, just export your filled data to Excel. Import from Excel using tempaltes: XBRL Express allows you to create templates which can be used to import your data from Excel in order to build up your XBRL report. Simplified graphic interface. We have left aside complex functionalities, more XBRL technical related, wich are present in other tools so the end user can focus in what really matters: Creation and Edition of XBRL reports.